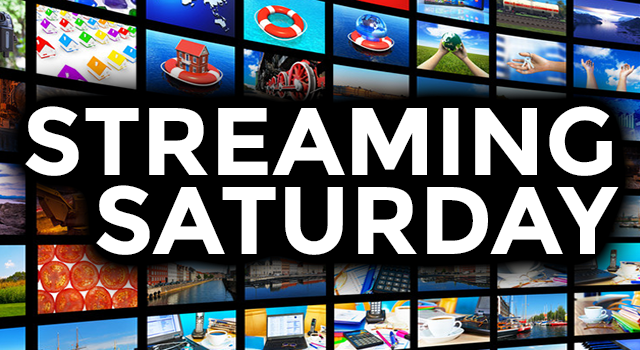 When it comes to streaming, do you prefer on-demand or live streaming services? While it is not exactly the burning debate of the day, I’ll admit that I do have my preference. There’s no doubt that streaming is here to stay, and it’s not just some cult phenomenon either. Many people who pay for cable or satellite TV services, as well as many cord-cutters with TV antennas, have at least one or two streaming service subscriptions. Some people prefer on-demand streaming while others enjoy live streaming. And other still don’t look at it as some binary perspective where you have to choose one over the other. Okay, I’ll admit that this is not exactly the burning debate of the day, but I still have my preference when it comes to streaming services. Streaming is broken up into two major categories, on-demand and live streaming. On-demand style streaming from services such as Hulu and Netflix. On-demand streaming is pretty much as it sounds – you find the program you want in the cloud, click a button on your remote, and enjoy the show. Live streaming lets users open an app, choose the channel they want to watch, then enjoy their live TV. DIRECTV Now and Sling TV are two of the most popular live streaming services. On-demand streaming is my preference. Perhaps it’s because I enjoy watching a variety of TV series, and on-demand streaming lets me watch as much as I want when I want and without commercials, depending upon the specific program and channel. In other words, when I find a series that I like, I binge watch it. Take my latest favorite, Showtime’s The Affair. Okay, I know this series premiered in 2014, but my wife and I recently discovered it after Showtime recently offered a free week of viewing. Mrs. Buckler thought The Affair looked interesting so we watched the first episode. We were hooked, of course. As such, we took advantage of the on-demand streaming that Showtime offered and binge watched the first two seasons. Showtime’s free week coincidentally ended just as the third season of The Affair was beginning. Now we had to wait for Sunday night to watch the episode when it aired. In other words, we transitioned from on-demand to live streaming one of our favorite shows by adding Showtime to our Amazon Prime Video package for $9 per month. The Affair is in its third and most thrilling season. We see protagonist Noah Solloway battling with demons, both real and imagined. Mrs. Buckler and I find ourselves on the edge of our seats as we wait to see how this and other in-show situations will resolve. There’s only one problem: We have to wait until Sunday to watch each new episode. And after watching the latest episode, we have to wait an entire week to see the next. Yes, we’ve become spoiled by binge-watching the first two seasons of the The Affair and no, I don’t feel guilty about it. Not one single bit. To be fair, DIRECTV Now and Sling TV have their good points. If you have kids who wouldn’t be caught dead watching any of those stodgy old shows that mom and dad watch, these satellite streaming services are a lifesaver. My youngest loves to plop down next to me on the couch and pull up his favorite cartoons on his iPad while his mother and I watch Blue Bloods, This is Us, and our other favorite network shows on the main TV. In a perfect world, I would have one streaming service that allowed me to watch anything and everything I want at any time with no commercials or time constrictions. That would be the ideal streaming service. Hey! A man can dream, can’t he?